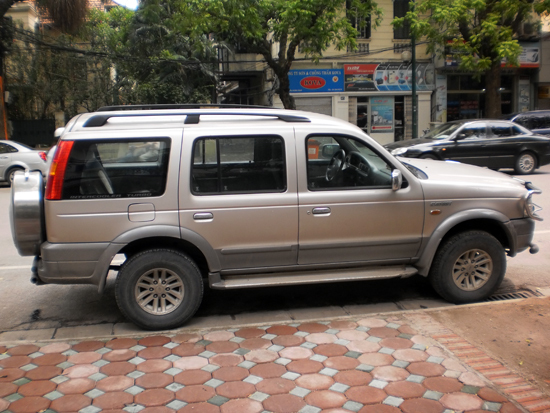 Hiring a car for self-drive in Hanoi is neither recommended nor legal. Firstly, the legal part: in theory you cannot hire a car unless you have a Vietnamese license, meaning if you hire a car, it should be with a driver to stay within the rules of the law –hire car company Avis confirmed this to me. It doesn't even fit down half the streets. You’ve all heard stories about the traffic in Vietnam, I’m sure. In a car it’s true that you are a lot more protected than on a motorbike but (a) cars are evil* and (b) that doesn’t mean you are immune to the crazy drivers, the potholes, the traffic jams or the accidents. And you really don’t want to be involved in an accident in the middle of nowhere. *Ask anyone who rides a motorbike or bicycle. 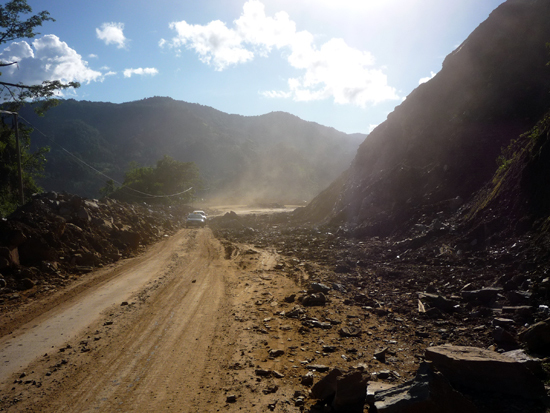 At least the roads are Hanoi are a little bit better than this. Even if, having read this, you are still fixed on the idea of driving a car in Vietnam, you might struggle to find a company to help you. Avis won’t rent a car without a driver and the other hire car places I found online are only in Vietnamese language. I’ve hired cars in Thailand and Malaysia and it was easy; just don’t expect that here. However, if your budget stretches this far, hiring a car with a driver is a viable and interesting option, providing you with freedom and comfort for both long and short journeys. While not as exciting as driving a motorbike, if you’re in a couple or with a group and don’t fancy public or tourist transport, it’s worth considering. I’ve hired a car and driver once, last year, to take us out to Thay and Tay Phuong Pagodas and Ba Vi National Park. It cost around 1.2 million VND (US$60) for the day and transported us in air-con comfort around the sites. Our driver didn’t speak much English but was very friendly and accommodating. I hired through Golden Package Tours. While travelling up in Dien Bien Phu I bumped into two middle-aged couples who’d previously travelled to Sapa by private car from Hanoi. It’s a 14-hour journey but they’d really enjoyed the freedom it offered both en route and once they got there. Room for a road right through here! 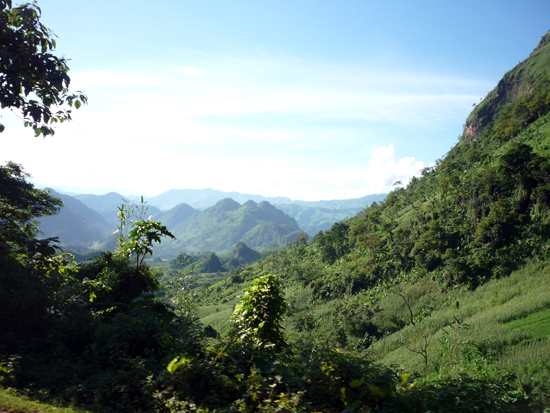 Way to Vietnam offers a Hanoi-Ninh Binh-Hanoi day trip for US$85 for a 4-seater car or US$95 for a 7-seater. Alternatively, most travel agents will be able to provide a car with driver, but make sure you book in advance and shop around: prices will, as always, differ dramatically. Also check that the price is all-inclusive and doesn’t include nasties like an extra charge per kilometre.